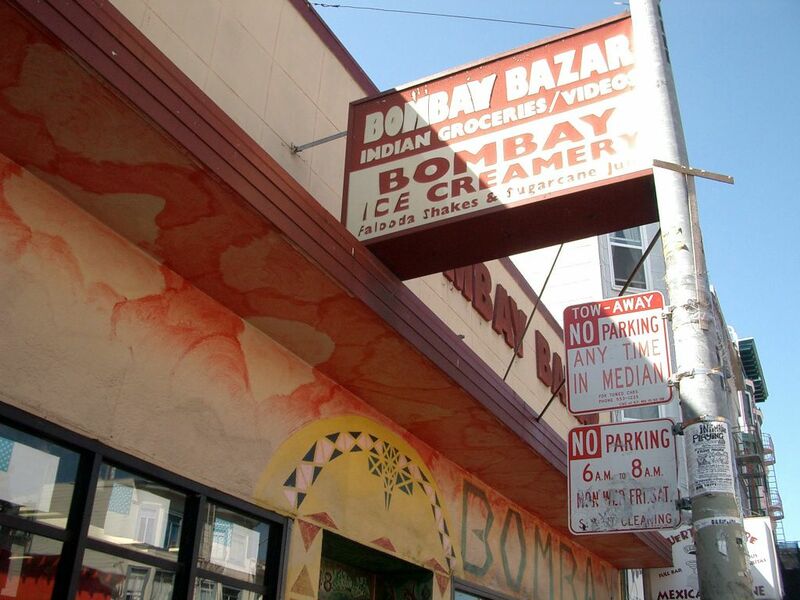 The first place I visit to stock up on dry Indian food products and spices is the Bombay Bazar in San Francisco's bustling, busy Mission District. Bulk supplies of all sorts of dry Indian ingredients are on offer at the Bombay Bazar. Dessicated coconut, ghee, lentils, corainder, cumin, tumeric, garam masala (if you don't have time to make your own), gram flour, dahi vada mix, rosewater, onion seeds and much, much more. If you are lucky they might even have fresh curry leaves which are an aromatic addition to my favourite rice dish. I keep these in my freezer for those times when fresh curry leaves just can't be found. If you have never tried fresh curry leaves you should - their scent and flavour is mesmerizing. Bombay Bazar have almost everything I need to cook an Indian feast, except meat, fish, yoghurt and vegetables which need to be purchased elsewhere. Oh, and dried mint leaves, they don't have those, but I found them at Wholefoods instead. Next door, Bombay Bazar has a very basic little chaat cafe where you can buy savoury snacks, Kulfi and Indian icecream with flavours like pistachio and cardamom to either eat in or to go. Is Bombay Bazar the best place to go for Indian supplies in San Francisco? I imagine there are some great places in the South and East Bays too but my own experience is limited. Please share your own personal favourites in the comments section. There's a place in San Bruno near my house that I always go to for Indian ingredients. The owners can be a bit standoffish sometimes, but that's ok. They buy their spices and legumes in bulk, and re-package them, so you can buy whatever sized bag you want. They also have a small produce section, and refrigerated and frozen sections. I haven't been to too many Indian markets, but I really like this one. Thanks for the food event round-up; I'm always afraid I'll miss one! Mmmmmm, I love the ice creams at this place. I last had a scoop of cardamom and one of fig. Very delicious! I tried the Rose Petal ice cream. VERY GOOD. Then I had a samosa. only $1.25 i love this place! Viks in Berkeley is the best place within 25 minutes of SF that I know of. In SF I prefer New India Bazaar on Polk Street near Post Street. I hear that the South Bay has lots of great Indian markets.